Archive. 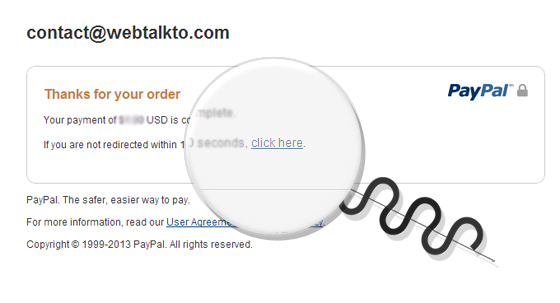 How to order Light Package. Overview of the process — WebTalkTo Montreal studio. 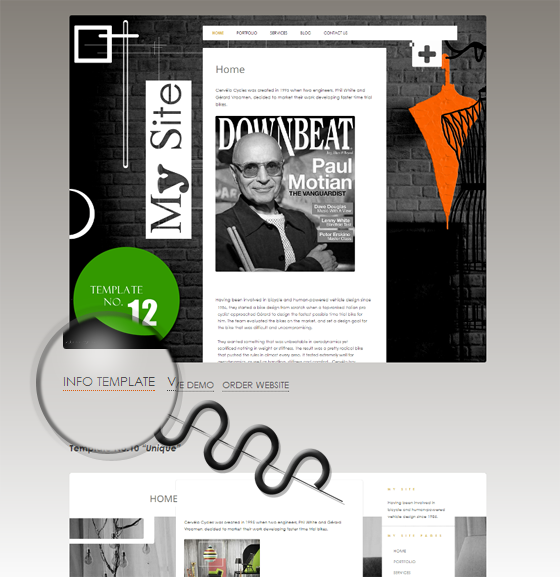 Under the theme screenshot you will find info about what this theme features. Choose the right dial for you and make sure the items in shopping cart matches your order. 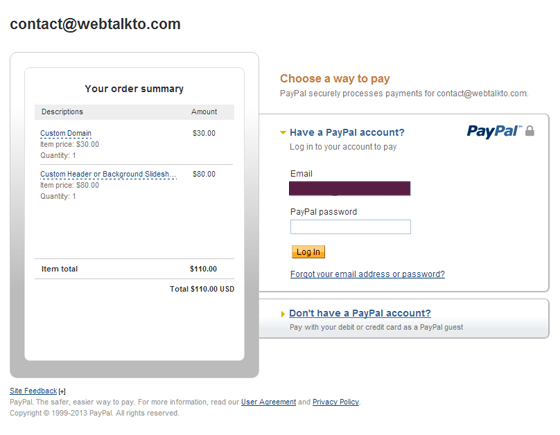 Click Check-Out with PayPal. 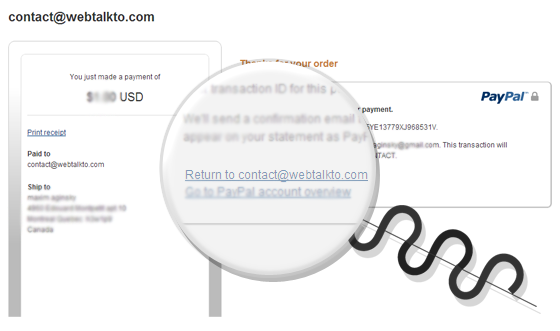 If PayPal did not redirect you to webtalkto.com, click this link: Thank You page and complete your order by filling out the form. 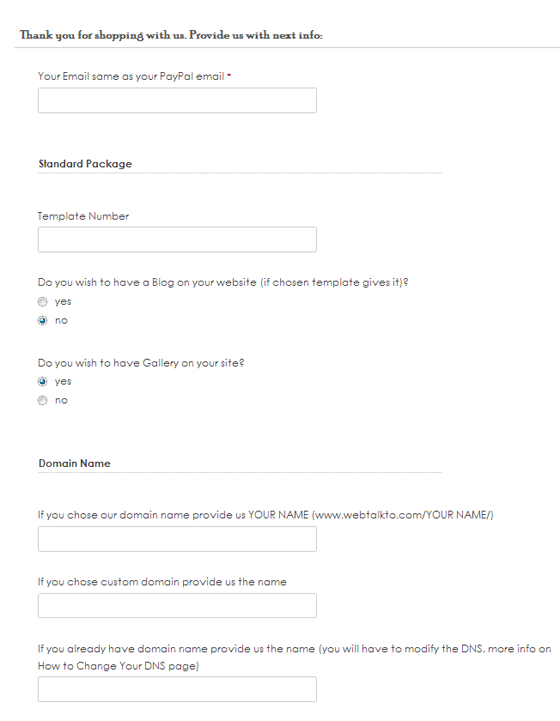 Fill out the form with information matching your order. After we have received all required info, we will install your website (the process will take up to two days) and you will receive an email from us with user name and password of your website. 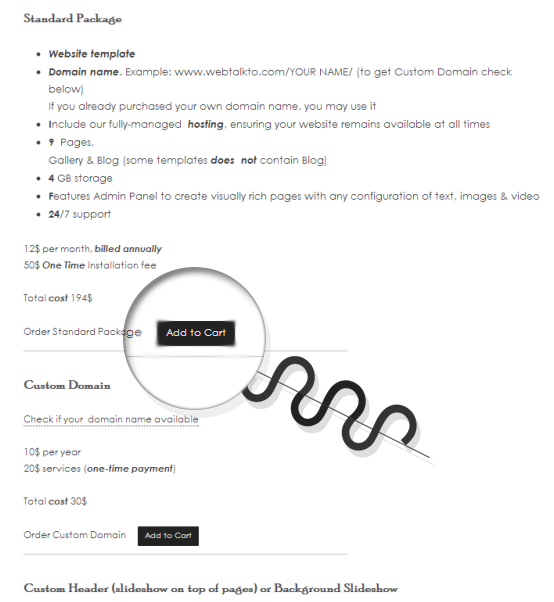 Now you can truly enjoy your own website. Welcome!